Nord Anglia Education – Abu Dhabi. English is one of the most spoken languages in the world with over 500 million speakers. It is also the official language of more countries than any other language. As a result, many countries If you have children and plan to send them to school in Abu Dhabi, then it’s in your best interest to ensure that English is a part of the curriculum. Our capability to learn languages is at its peak when we are younger and children have a natural aptitude for languages that can flourish in the right environment. In Abu Dhabi, learning to speak English is an incredibly important life skill, one that can have a significant impact on your future. For example, if you want to enter university in Abu Dhabi then you need to know the English language. In the case of Abu Dhabi, the Head of the United Arab Emirates Ministry of Culture, Youth and Social Development Nahyan bin Mubarak stressed the importance of its citizens maintaining a bi-lingual culture between Arabic and English. He believes that knowing English allows Abu Dhabi to remain connected to other parts of the world, and he’s not wrong. The English language has played a huge part in the world of international business and often serves as a common language between countries, and there’s a huge array of jobs and opportunities out there for bi or multi-linguists. Knowing more than one language is a sure fire way to open doors in Abu Dhabi. Because this focus on language is so strong, this means that every application to university is subject to being rewarded the relevant score for your course. Students will not be able to start their degrees unless they pass the English test and there are no plans for this to change any time soon. Thankfully this focus on languages has resulted in the installation of excellent linguistics programmes in the country’s schools. After all, if it’s a national requirement to know English in order to attend university then it’s in the country’s best interest to ensure that this is happening. Nord Anglia Education, for example, has a school in Abu Dhabi that offers a comprehensive linguistics programme as part of their curriculum, which includes English. Knowing English will allow your children to succeed in Abu Dhabi and elsewhere, helping them to find good work as well as offering them fantastic opportunities overseas. Essentially, learning English is a requirement if you’re interested in further education, one that is to be taken very seriously. Securing your child a place in one of these schools is an absolute must. As you can see, English is a language of equal importance to the native Arabic in modern Abu Dhabi, and it’s one that’s playing an increasingly key part in its residents’ lives. If you have children and are raising them in Abu Dhabi, then you should be considering whether this is being in their education at present or what your long-term plans are for when your children do begin school. Regional Education 2020 forum debuts in Abu Dhabi. The Education 2020 Conference & Exhibition, a holistic education showcase event catering to growing education and training sector needs in the Middle East, makes its debut today (Wednesday, January 29, 2014) at the Abu Dhabi National Exhibition Centre in the UAE capital. Running until January 31st2014, the much-anticipated event offers an ideal business-to-business platform for education leaders and academic professionals, suppliers, vendors, and solution providers, to bring a positive change in the educational landscape of the region. The Education 2020 Conference will be held in conjunction to the exhibition and it will address regionally-based teachers and academic leaders on a diverse range of topics, including the Reformation of Education, the Development of 21st Century Skills for the Delivery of Education, Multimedia and Mobile Learning, the Effective Use of Technology in Classrooms, Content and Language Integrated Learning and other issues pertaining to today’s learning environment. Supported by TESOL Arabia, the Conference will provide hands-on experience to the teaching community to equip them with techniques to educate future generations. Education 2020 will also host a dedicated section on ‘Industry-Ready Education’ under the banner Technical, Occupational and Further Education (TOFE) for students who are looking for affordable and certified study options. This segment will highlight the importance of occupational education in developing talent and enhancing expertise at the workplace. Education 2020 is expected to attract visitors from across the Middle East who will visit the show to examine products, discuss issues critical to education delivery and network with the region’s education fraternity. For more information, please log on to http://www.educationabudhabi.com/and http://www.tafeuae.com. UAE Ministry of Education and Etisalat Partner to Launch First Technology Hub in UAE. 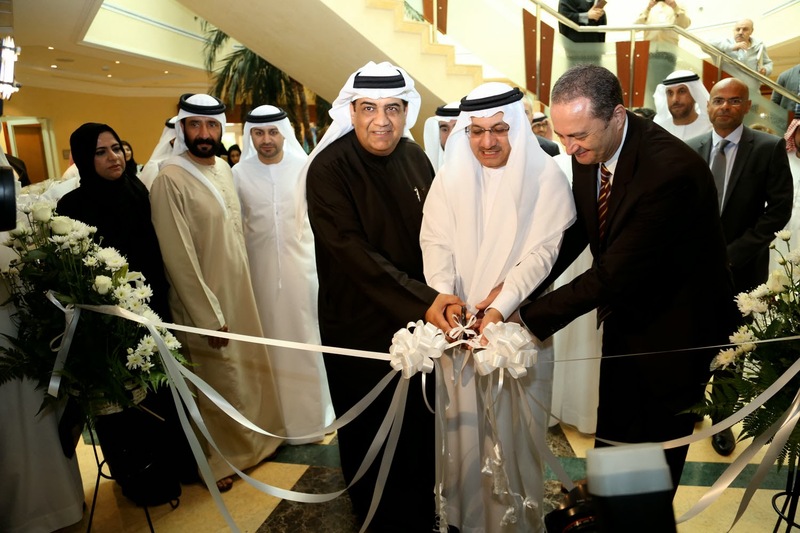 ]UAE, 27 January, 2014[ – The UAE Ministry of Education today launched the ‘Etisalat Education Technology Center’, a major initiative in smart education as well as the first state of the art educational technology hub in the country to focus on R&D and experimental educational tools. This launch is a result of the strategic partnership between the UAE Ministry of Education and Etisalat, leading telecom operator in UAE, and in association with the technology giant Microsoft. At a press conference held today, the official launch was made in the presence of H.E. HumaidMohammed Obaid Al Qattami, UAE Minister of Education, H.E. Marwan Al Sawalih, the Ministry Undersecretary, Saleh Al Abdooli, CEO, Etisalat UAE and Khalil Abdel Massieh, Academic Program Manager, Middle East and Africa, Microsoft Gulf among other senior officials from the ministry, Etisalat and student fraternity. The Etisalat technology center is one of the projects executed by the UAE Ministry of Education and Etisalat. The association with Microsoft brings global educational expertise to the technology center. The technology major will provide an annual training programme for educators to enable them to use technology and help them develop the skills of students in UAE for work and life. This is the second project executed in partnership with Etisalat after the recent announcement of Duroosi Youtube channel, a first-of-a-kind online educational tool developed by Etisalat under the ministry’s supervision offering self-learning options with visual aids providing easy access to students of Grade 11 and 12 to develop their skills. H.E. Humaid Mohammed Obaid AlQatami, UAE Minister of Education said: “The ministry today is witnessing tremendous changes in the educational process in the country. Education plays a major role in achieving sustainable development in the country. The UAE government vision is to provide the highest level of modern education that is up-to-date in curricula, technology and environment. We want to provide the best infrastructure, facilities and services for the education sector that is accompanied with best teaching methodologies and expertise. Saleh Al Abdooli, CEO, Etisalat UAE said: “Our role is to utilise the best technology available in the world to provide the best to our people and especially the student community. Etisalat is proud to work with the Ministry of Education again as well as technology partners enabling government initiatives and smart education in the country. The hub is equipped with massive touch screens that can work as demonstration units for technology solutions and smart education tools. The whole centre is equipped with video conferencing capability that will enable up to 60 people to have a live session and connect all future technology hubs together. 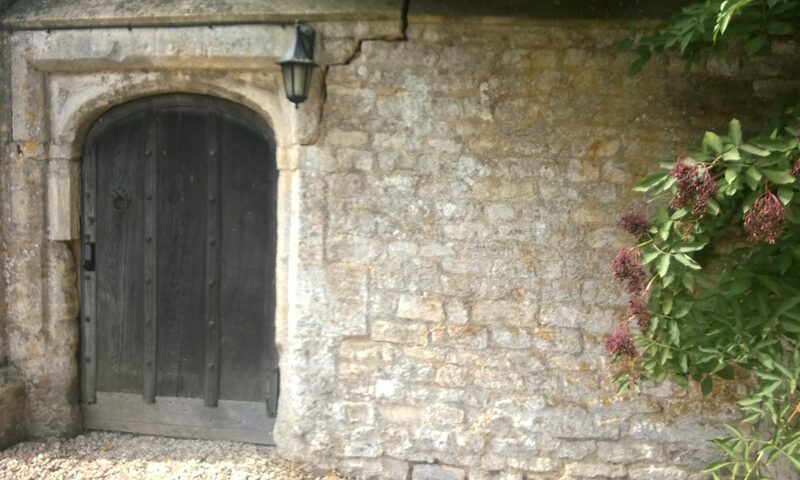 The centre also has a multimedia production room that will be used for making of tutorials and videos which can be shared via the internet and social media immediately upon completion of the filming. The multimedia room is equipped with an electronic white board that is used to create electronic content. This room also supports the recently launched Duroosi Youtube channel, helping the making of the content and electronic distribution on different platforms as a link. Content creation as well as revision classes will be broadcasted on the Duroosi Youtube channel. 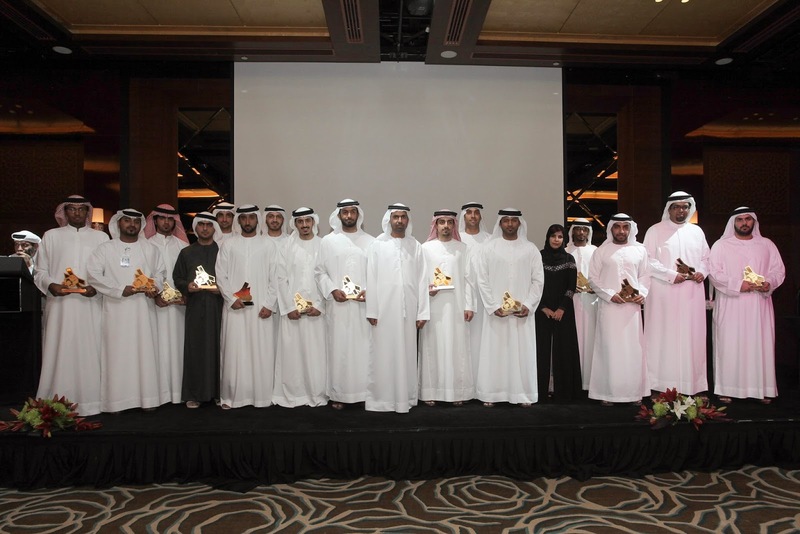 EIAST honours outstanding employees & Dubai Sat-2 team. ]UAE, January 21, 2014[ – As part of its efforts to consolidate a culture of innovation and organizational excellence, the Emirates Institution for Advanced Science and Technology (EIAST) celebrated its annual award ceremony. The institution recognized the scientific innovation and organizational excellence of the Dubai Sat-2 team of engineers and staff as well as outstanding employees who made invaluable contributions to support EIAST’s vision to transform the UAE into one of the leading global centers in the space industry. During the event, EIAST presented honorary shields to the Dubai Sat-2 team in recognition of their vital role in the successful launch of the satellite which represents one of EIAST’s finest achievements in the fields of space and advanced sciences. 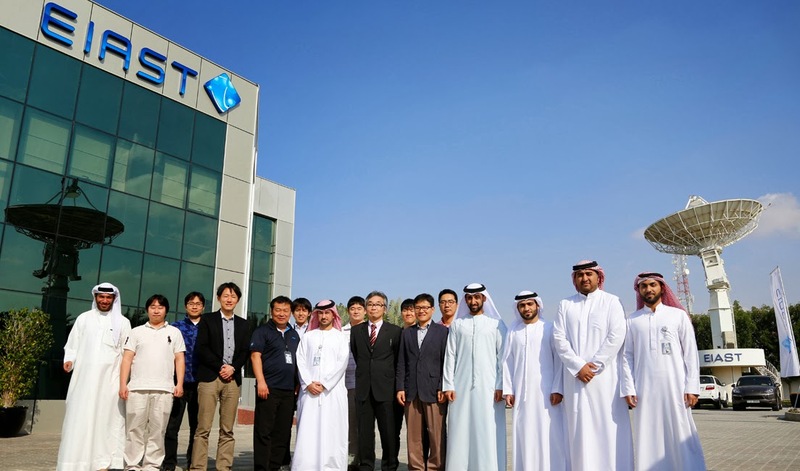 The team which supervised the launch, operations and testing of Dubai Sat-2 was also honored. Furthermore, as part of its intensive efforts to improve internal performance and develop the capacities of Emirati citizens, EIAST bestowed Hamad Al Jazeeri with the ‘2013 Distinguished Employee Award’ for his contribution towards improving the performance of his department by developing operational plans and administrative systems that match the skills of the staff. In addition, Saeed Al Mansouri was awarded under the ‘Outstanding Scientific Innovation’ category for his success in developing a watermarking technique for the protection of intellectual property rights for space images taken by Dubai Sat-1. Finally, in the ‘Extra Miles’ category, Ghariba Salem was honoured for her entrepreneurial and volunteering spirit, willingness to lend a helping hand to others, teamwork skills and continuous commitment to support work teams of different departments. The ‘Outstanding Employees’ were chosen based on the ‘Bravo’ program – an integrated methodology based on the principles of transparency, excellence and innovation. “We organized this event to express our gratitude to our teams for their intensive efforts towards the success of our research initiatives and vital projects covering aerospace, energy, water and the environment. The team that supervised the operations and launch of Dubai Sat-2 was the highlight of this year’s award ceremony. The success we achieved collectively gave us a massive boost to continue to work hard to play an integral role regionally and globally in the aerospace field. We are very proud of the high levels our National talents have reached and are confident that they are 100 per cent ready and qualified to develop Khalifa Sat, the first satellite to be fully developed by Emirati engineers on UAE soil,” concluded Shaibani. Education revolution a top priority for UAE government, giving rise to greater public and private sector involvement. The increased emphasis on Learning and Knowledge sharing in the UAE is creating a tremendous impact on how Education is delivered, marketed, administered and regulated, which in turn is spiking investment and encouraging discussion and networking within the UAE’s education fraternity. Scheduled to take place from 29th to 31st January 2014 at the Abu Dhabi National Exhibition Center (ADNEC) in the UAE capital, Education 2020 will make its debut as a focused, industry-driven trade show catering to the thriving business element of the region’s education market. Anselm Godinho, Managing Director of the organising company, International Conferences and Exhibitions LLC, commented on the booming education landscape in the UAE, “Currently, all eyes are on the UAE and the Arab World, where the discussion and focus on education has never been so prioritized. The growth and emphasis for quality in education is presenting remarkable business opportunities to suppliers of general education resources, education technology, management and administrative solutions and edcuation infrastructure providers from all over the world. Abu Dhabi particularly stands out on the globe as one of the most aggressive economies for education today, as it implements the most ambitious education upgradation plans to date which is costing the emirate billions of dollars. The event will also feature the Education 2020 Conference, that will address regionally-based teachers and academic leaders on a diverse range of topics including the Reformation of Education, the Development of 21st century skills for the delivery of education, Multimedia and Mobile learning, the Effective use of Technology in Classrooms, Content and Language Integrated Learning and other issues pertaining to today’s learning environment. Supported by TESOL Arabia, this Conference will be hands-on and bespoke for the teaching community, and will equip teachers with techniques to train furture generations. Valued at US$1.9 billion/AED 7 billion, the private education sector in the UAE is one of the largest in the world, even exceeding that of China’s. With the country’s expatriate population constantly on an uprise, more local and international players are setting up base in UAE to tap into this growing market. Education 2020 will feature a comprehensive display of suppliers, vendors and solution providers, who play an active role in the region’s education landscape and represent top-quality products & services that will dictate furture learning environments. The event will attract visitors from across the Middle East who will be at Education 2020 to examine products, discuss issues critical to education delivery and explore the dynamic education landscape in the region.